We offer the teachings of the Qero Indians of Peru which we have incorporated with our own Celtic traditions. We also incorporate elements of many other shamanic traditions as taught to us. The Qero are the direct descendants of the shamanic healers and teachers of the Inca Empire. When the Inca Empire was conquered by the Spanish, they retreated into the High Andes, hiding for 400 years in a network of villages above 14,000 feet. It is only since the 1970’s that they have established contact with the rest of us. Since then they have been bringing their original teachings, untainted by the modern world, to us. The high point of a civilisation based upon shamanic principles, Qero teachings being a deep and ancient wisdom to our modern problems. We have been privileged to study directly with some of the Qero elders, receiving key initiations which produce powerful energy shifts and awaken new forms of awareness and power. We have been granted permission by the Qero to pass on these teachings and initiations. It is our privilege to now offer these to you. 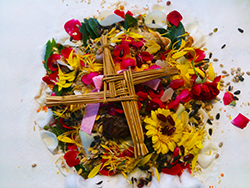 Through teachings founded on the teachings of the ancient Inka Qero Shamans, through initiations and rites of passage, through individual and group healing, through connection with the ancient sacred sites of Ireland and Peru, through a marrying of the Celtic and Qero traditions and through sacred ceremony we will walk a medicine wheel of deep healing and transformation. Shamanism is the same in every culture – it is the basis of human spirituality. Yet each tradition has something unique to offer. We will add to the blend of wisdom teachings and practices from North America, Southern Africa and Australia. You will become more connected to our sacred Celtic ancestory, to the Qero tradition, to your own spiritual shamanic ancestory and to the power of the land. If you let it, this work can transform your life and eventually allow you to know and/ or even change your own destiny. When you have completed the medicine wheel you will be fully competent and capable of working with clients in practice and walking the path of the earth-‘the beauty way’. Learn how to hear the voices of nature. The trees, clouds and waters talk to us, learn to hear their voices and respond. Once you have completed the medicine wheel, advanced courses become available which enable you to build upon this foundation. Further training enables you to develop expertise in specialised shamanic techniques such as soul retrieval and destiny work. Many therapists of all forms bring this into their counselling and therapy practices, weave it with reflexology, massage, reiki etc. The work that we teach comes from the heart and is rooted in groundedness, it is not dramatic or showy, all the techniques can be used quietly and discretely or in a shamanic setting depending on the needs of those you work with. The space that we create and hold is a safe space of nurturing and one of non-judgment. All of the teaching is guided and dedicated to spirit, we spend time in ceremony and meditation when working to integrate and bring this training to you. People that just feel drawn to come to the workshops and don’t know why! Shamanic healers who feel that they need more working methods to enhance their practice, something is missing? Learn to bring ancestral healing with the gifts of seeing. The shaman believes that ‘we dream our world into being’ - that we can create our own destiny. As we heal ourselves within the core structure of the training, we begin to bring our own inner light to the earth so we walk a sacred path as luminous light beings. During the medicine wheel we are clearing and shedding our past so we can walk into the future and create a destiny far greater than that which we have dreamed off. If you have trained in core shamanism or taken other workshops you are more than welcome along. This course will be a move forward into deeper shamanic work and bring you many extra skills and initiations enhancing the skills you already have. Our aim is for each person to identify and develop their own way of working, to find this energy healer, practitioner within themselves and to grow their abilities to their highest levels. You will find through the initiations and rites of passage that you will come away with an extremely nurturing, gentle but powerful tools at your disposal. Through the initiations to the ancient Qero lineage, through the initiations and connections to the sacred power places surrounding us (Tara, Loughcrew etc.) that you will have many allies and wisdom in your work. This work is not just about being a practitioner – it’s firstly about personal healing, personal empowerment, it makes you more self aware, self empowered, gives you confidence, improves your health and overall empowers you in your life in every way. Work with people who are in respite and also learn to bring healing and assistance to a loved one or clients who is in the process of passing over. Advanced shamanic divination techniques using tarot, stones, crystals, I Ching etc. Originally of Welsh origin, Owen studied Core Shamanism in Australia. While in Australia he also studied Tarot, Hermeticism, Kabbala and Jungian Psychoanalysis. He studied psychic healing at the London College of Psychic Studies. Having studied Tarot for over 30 years, Owen developed and teaches our highly successful Diploma in Professional Tarot Reading. Owen is a graduate of the Four Winds Shamanic Institute with certificates in Healing the Light Body, Soul Retrieval and Advanced Shamanism. He studied traditional Despacho ceremony under the Peruvian "Paqo" (or shaman) Don Sebastian Apaza for 5 years and has received from him the 3 initiations of the "Hartun Karpay" which qualify him as a Paqo in the Qero tradition. Owen's work has been to fuse traditional shamanism with the western traditions of Kabbalah and psychoanalysis. 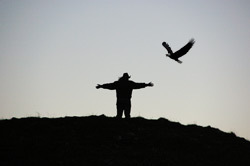 "Shamanism is more than just about personal healing; it can heal communities. By bringing shamanism into our lives we heal first ourselves, then around us. In turn, this healing energy spreads into the larger community, and eventually the world is healed." Is the founder of Green Tara College and Holistic Therapy Centre. Majella is a long established and well known teacher within the Holistic field. She has worked with energy healing for over 17 years and is trained in various branches of Shamanism (Core training for 3 years), Celtic and Inca traditions (6 years), Four Winds Certified, South American and Native American traditions. Majella has been teaching and facilitating shamanism and ceremonies for over 11 years and is dedicated to this work. Personal witness - Majella Fagan - "I had studied many therapies and been in personal healing for many years. Having taken the core shamanic training twice and working with it for many years I was thirsting for something more in depth and felt I needed to know more. I didn’t feel the working techniques were adequate enough for the growing needs of the work. When I took the six years of shamanic training with initiations from the Qero and the training in further shamanic techniques with Alberto Villoldo and The Four Winds, I found what I had been looking for. This is the most phenomenal work I have ever done and it brought to me deep, deep healing where at a crucial time in my life I finally cleared the heaviness of past issues and moved forward into a life of peace and higher destiny, here I learned to ‘dream my world into being.’ I can only say from my heart that I urge you if it feels right or you feel drawn to it to take this training. Alongside teaching Holistic Therapies, my main work is with Reiki and shamanism. I started with traditional Reiki and have found that the combination of the two traditions is a wealth of amazement and have found that the shamanic work brought me into deeper techniques and much more grounding. There is a wealth of joy, freedom and humility in walking this path which helps give us grace to aim to be a better person. In times of crisis it is my spiritual training and practice that has kept me together. Please feel free to give me a call or if you’d like to meet up and chat about it I’d be delighted."